This year I received a really cool gift from my mom with a suggestion to her from my wife Jenn. My mom bought me a new, compact mixer for Christmas. A very cool gift indeed! 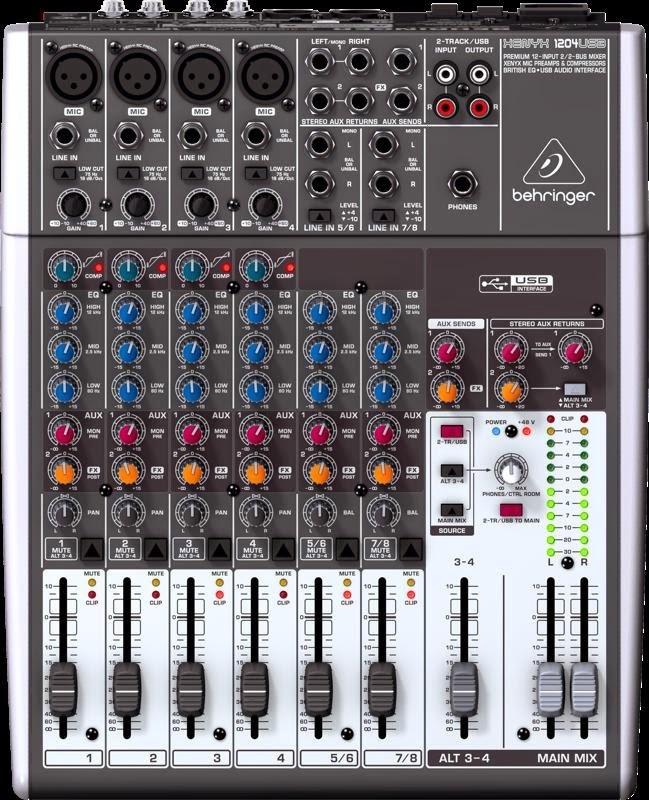 The mixer is a Behringer XENYX 1204 USB. It will be perfect for all those gigs I work where only a few inputs are required for the show. Fashion shows, school plays, and record store gigs will be easily accomplished with my new mixer. The new mixer is my first piece of the sound system puzzle so, now I need to acquire all the other pieces of gear to build a small sound system with. Microphones, power amps, speakers, cables, etc. Just tonight I received a message from a sound tech buddy offering me two free vocal microphones to get me started. What am awesome jesture my friend! My goal is to put together a compact sound system built around the new mixer that is easy to transport around in my minivan. It also needs to be easy to setup with just the right amount of gear. Since the mixer is a passive type, I have to decide if I want to use a separate power amp with passive speakers or to use powered speakers instead. For portable systems, there are now many models of powered speakers available on the market. The main advantage of the powered speakers is not requiring a separate power amp rack to hookup to the speakers. Powered speakers have the amplification and crossovers already built-in. This make setup a breeze! The other part of the system will be in the form of a signal processing rack. 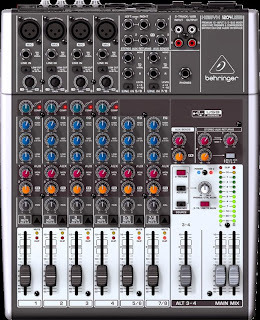 My new mixer has one-knob compressors on all the mono inputs but, it does not have a built-in EFX processor. Having a small, portable processing rack will be a great addition to my system. The rack will have a dual channel, 31 band, graphic EQ along with an EFX processor and maybe a rackmounted CD player and a power conditioner unit with rack lighting. All of this could easily be racked inside Gator Case or SKB Case for protection. The mixer itself came supplied with a set of rack ears for mounting in a rack case or rolling rack unit. I plan on continually checking the Kijiji Classified Ads online for my city and nearby places looking for great deals on quality used gear. With so many sound engineers going to digital mixing consoles, there seems to be a high levels of outboard rack gear that is being sold for real cheap prices. I am sure to find some excellent deals during my search. Here is a picture of my new mixer for everyone to see. I am looking forward to using my new gear in the new year for upcoming gigs. For awhile I will be renting speakers, subs and power amps until I can save some money to begin buying more gear to complete my system. So, here is picture of my new console. Wishing a Happy New Year to all my sound tech friends and musician friends out there. Cheers!